7.5kg/4.5kg Vapour Action System is rated 4.2 out of 5 by 64. Rated 5 out of 5 by Bill 62 from Excellent washing machine We bought this machine for our new house as the laundry isn’t big enough for a washer and dryer and found that it is a perfect size for a retired couple, it is very easy to use and does a great wash, haven’t had to use the dryer function very much yet but it seems to work ok. 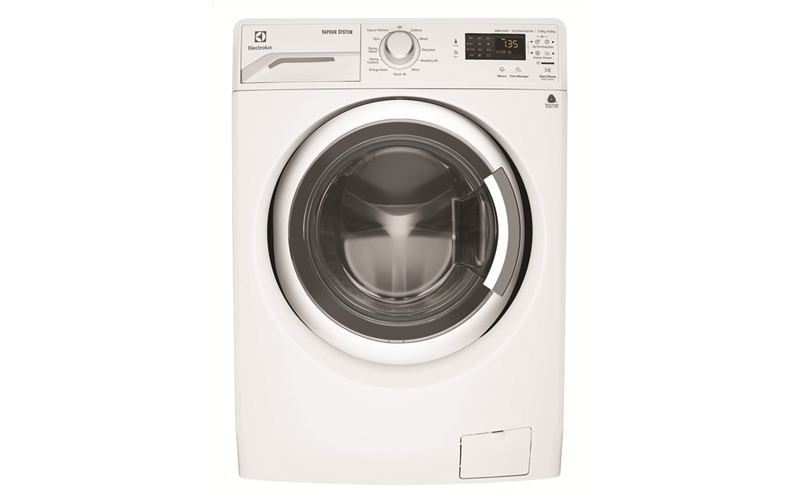 The vapour refresh function is a good idea particularly for those line dried towels that are a bit too harsh. 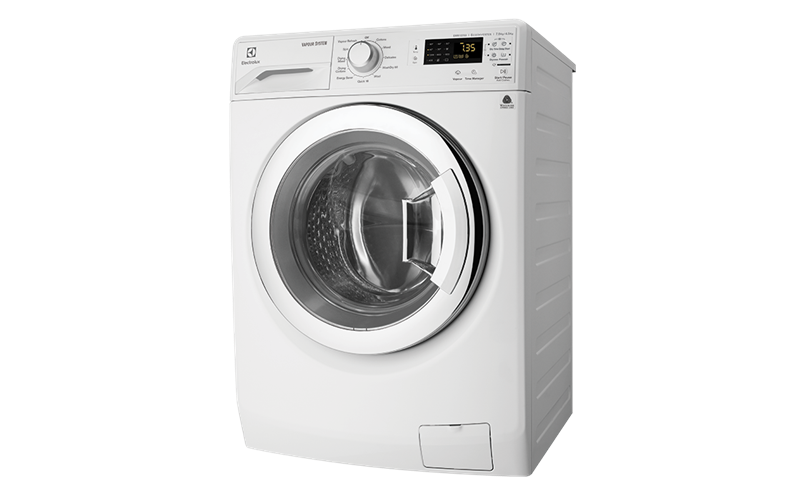 Rated 5 out of 5 by Alan from Simple to use I am physically disabled and this washer/dryer combo has simplified my washing days. By not having to lug damp washing into a dryer. Instead, I just turn the dial from cotton wash to cotton dry and press start again, SIMPLE!! But I recommend getting the Electrolux Pedestal, it's worth the extra cost and A.O./Winning do a great installation service. Rated 1 out of 5 by Cheesed off from Rubbish machine Very slow. Clothes very wrinkled even with the no crease cycle. The worst appliance I have ever bought. Wish I'd stuck with my 20 year old washing machine and separate dryer. What used to take me 3 hours (2 loads) now takes over 8 hours. Rated 4 out of 5 by Jayne838 from Has its benefits We have had the machine for 3 weeks now. Not sure why the reviews say it’s loud, it’s not. It’s quieter than the 4 year old also we had. The drier is quiet but I agree with other reviews that say it’s not effective. Eg is an almost dry towel, put it in for 30mins and it still wasn’t dry. I will tell the unknowing buyer about the wash time options. Quick is 17, next for a non delicates load is 1:05. It only goes up a lot from there! Nothing in between.